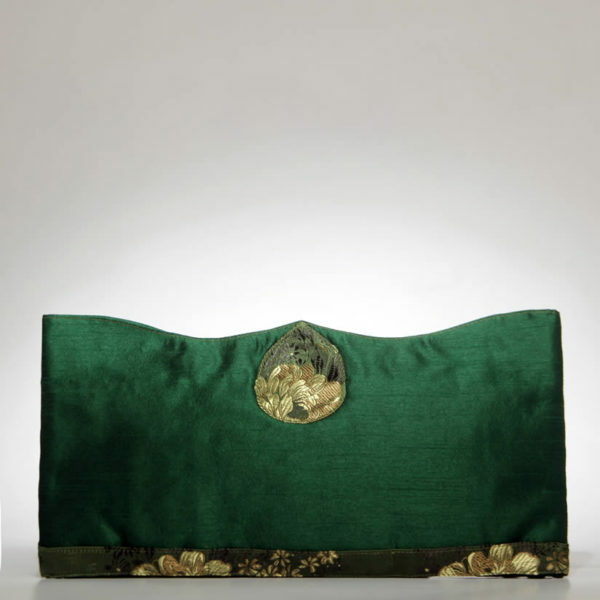 Scallop-shaped silk shantung evening clutch purse with decorated teardrop closure. Easy hand slip decorative band of green hues, black and gold silk floral pattern for carrying. Double magnetic snap closure. Quilted lining and two interior pockets. 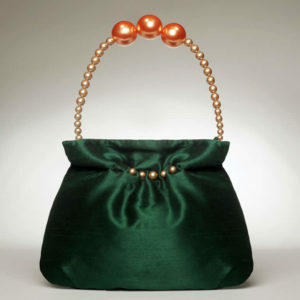 Scallop-shaped silk shantung evening clutch bag with decorated teardrop closure. 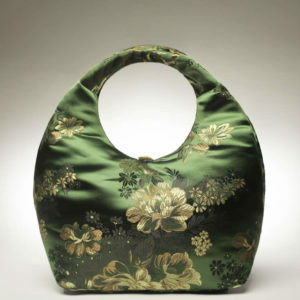 Easy hand slip decorative band of green hues, black and gold silk floral pattern for carrying. Double magnetic snap closure. Quilted lining and two interior pockets. 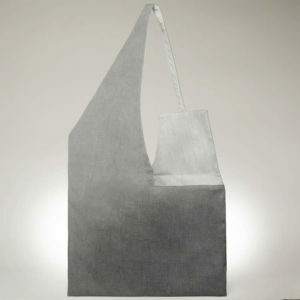 Complimentary dust bag. 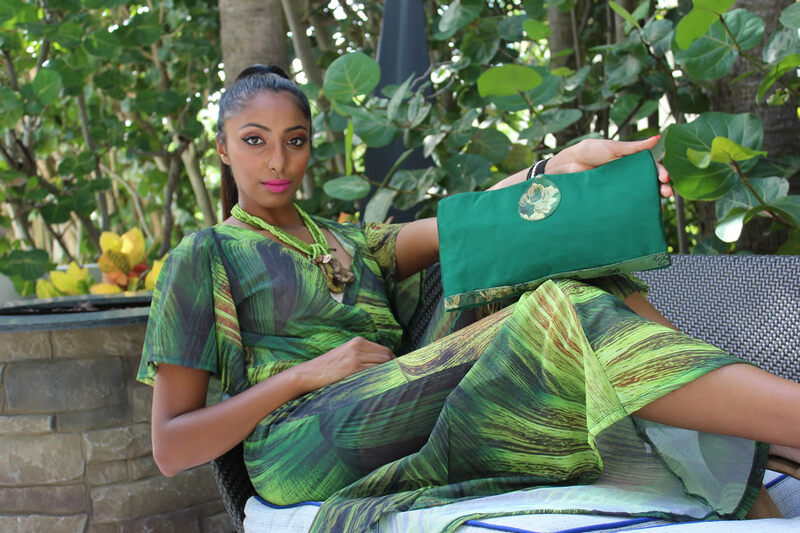 Design inspired by designer’s maternal grandmother, and the vibrant vegetation of Cuba.